Which Warriors Star Would Jump Ship for Lakers in 2019 Free Agency? LOS ANGELES — The Golden State Warriors have won three championships over the past four seasons, and they expect to add another banner in June. The outcome feels even more inevitable after DeMarcus Cousins' promising return to the court Friday. The real drama comes in July, when the Warriors will try to secure their three key free agents: Kevin Durant (player option), Klay Thompson and Cousins. The buzz around the league is that general manager Bob Myers has the authority from ownership to offer whatever is necessary to keep the group together. If he succeeds, Golden State will continue as the NBA's top team. If he doesn't, the Los Angeles Lakers will eagerly make appeals to any available Warriors star. The Lakers would love to sign Durant or Thompson, as either would be a tremendous fit next to LeBron James. However, Cousins appears the likeliest of the three to end up in Lakers purple and gold in 2019-20. If the Warriors are willing to offer even close to maximum salaries to Durant (more than $221 million) and Thompson (almost $190 million) to stay for another five years, why would either leave? It's hard to see, but not impossible. Perhaps Durant is jealous of the local love Stephen Curry gets as the team's homegrown champion, but reading body language or psychoanalyzing postgame quotes isn't likely to tip his hand. It would take strong feelings for him to join James and the Lakers at a lower salary ($164 million over four years). And if Durant did decide to leave the Warriors, would the Lakers even be the favorite? What about the New York Knicks or the Los Angeles Clippers? It's even harder to guess why Thompson would want to break up the "Splash Brothers" backcourt to take nearly $141 million (also over four seasons) from the Lakers. While his father, Mychal, won two titles with the Lakers in the 1980s and is currently on the team's radio broadcast, Thompson seems like a lock to stay in the Bay Area. Cousins is a different story. The big man, who made his season debut Friday night in a 112-94 win over the Clippers, didn't find a team this past offseason that was willing to give him a maximum contract while he rehabbed from a devastating Achilles tear. The Warriors added him using their taxpayer mid-level exception of $5.3 million. While he looked a bit rusty against the Clippers, fouling out in only 15 minutes, he still finished with 14 points while shooting 3-of-4 from three-point range. After the victory, Cousins celebrated the open looks and lack of double-teams he faced while playing alongside Golden State's elite shooters. "This is a first in my entire basketball career," Cousins said. "I definitely can get used to this." But basketball fit may not be the priority for Cousins when it's time for him to make a business decision this summer. Because the Warriors only have Cousins' non-Bird Rights, they can offer him no more than 120 percent of his 2018-19 salary, which would be $6.4 million. The Lakers, however, could use their cap room in July to offer him a four-year, $140.6 million max contract with a starting salary of $32.7 million. Golden State projects to face hefty luxury-tax penalties next year, especially if it retains Durant and Thompson. While the Warriors could potentially carve out enough cap room to give Cousins more money, they likely couldn't do so without losing Durant and Thompson. That should be a non-starter for them. Players in the past have sacrificed financially for the good of the team. Dwyane Wade, Chris Bosh and James each took around $20 million less than their max when they joined forces on the Miami Heat, but Cousins may have to give up more than $25 million next year alone to stay with the Warriors. His financial sacrifice would be far greater than what Miami's Big Three eschewed. That doesn't mean he won't. In fact, Marc Stein of the New York Times recently reported: "One of the wildest predictions I've heard lately, from one wise insider, who thinks even DeMarcus Cousins will consider re-upping with the Warriors for one more season despite the (comparatively) minuscule raise they can offer on Cousins' current $5.3 million salary." If Cousins waits until the summer of 2020 to sign a long-term deal, he'll be eligible for a higher starting salary by virtue of having 10 years of service in the league. He may be willing to lose upward of $26 million in 2019-20 to stay with Golden State so he can cash in on a four-year, $178 million contract with a projected $41.3 million starting salary the following season. However, if the summer of 2020 is a priority for Cousins, he could sign a one-year, $32.7 million deal with the Lakers this summer and then re-up at the higher salary tier the following offseason. If that kind of money is available to Cousins, he'd be a shocking pioneer to turn it away. The Lakers' top priority appears to be obtaining New Orleans Pelicans big man Anthony Davis, who shares an agent with James in Rich Paul of Klutch Sports. Since Davis is under contract through at least 2020, the Lakers are dependent on a trade to land the All-Star forward. If the Lakers give up on Davis and their top choices in free agency (such as Kawhi Leonard, Durant and Thompson) go elsewhere, they would have to change gears. If Cousins returns to his past form, they may prioritize him over other potential targets like Jimmy Butler, Kyrie Irving, Kemba Walker, Nikola Vucevic, Marc Gasol and Khris Middleton. Before Cousins signed with the Warriors, former Cleveland Cavaliers general manager David Griffin said James is a big fan of the way Cousins plays basketball. An Achilles tear is one of the worst injuries in basketball, but if Cousins can prove he's recovered over these next few months, the Lakers should at least consider him an option this summer. Yes, he might sacrifice to stay with the Warriors, especially if they win a title, but NBA careers are relatively short. After suffering such a traumatic injury, Cousins would be wise to lock in the largest possible salary as quickly as he can, regardless of a potentially higher payout in 2020. Doing so with the Lakers and James might be too great an opportunity, even if the basketball fit with Cousins and the Golden State Warriors yields another championship this season. Email Eric Pincus at eric.pincus@gmail.com and follow him on Twitter @EricPincus. 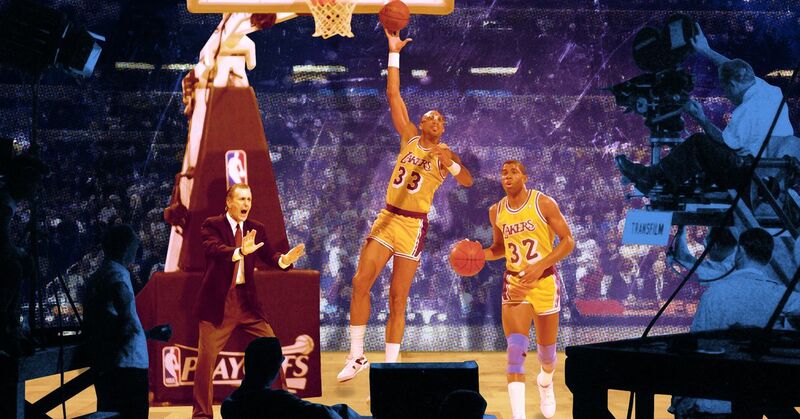 How Would TV Series About Showtime Lakers Work?